Dilmar Oil Company, Inc. purchased Darsey Oil Company in Albany, GA in late 2015. Dilmar Oil Company is a family owned, full line petroleum and lubricant distributor headquartered in Florence, South Carolina. Dilmar distributes various lubricants, oils, greases, and other petroleum products and accessories as well as fluid reclamation services. Distributing bulk and packaged lubricant products since 1932, we are one of the largest lubricant distributors in the Southeast. 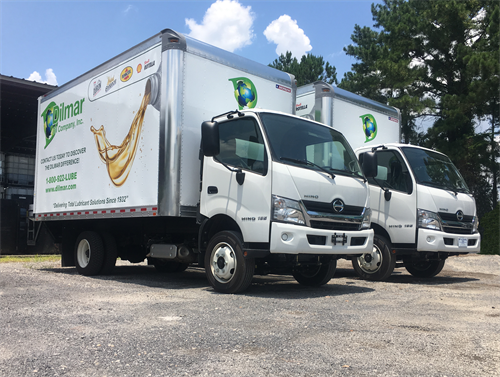 The Dilmar Fleet consists of over 40 Bulk and Packaging trucks operating out of eight bulk plants locations throughout South Carolina, North Carolina and Georgia. Dilmar's company-owned fleet ensures reliable delivery of your orders. Dilmar Fluid Reclamation (DFS) performs on-site reclamation of lubricants with four semi-trailers, four portable units, and one stationary location that covers the Southeast United States.